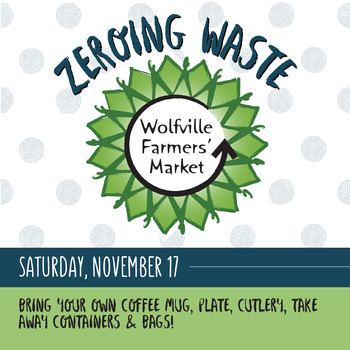 On Saturday, November 17th, 2018 from 8:30am - 1pm, the Wolfville Farmers’ Market is embarking on a 'Zero Waste Day' challenge to reduce the waste at our Market. 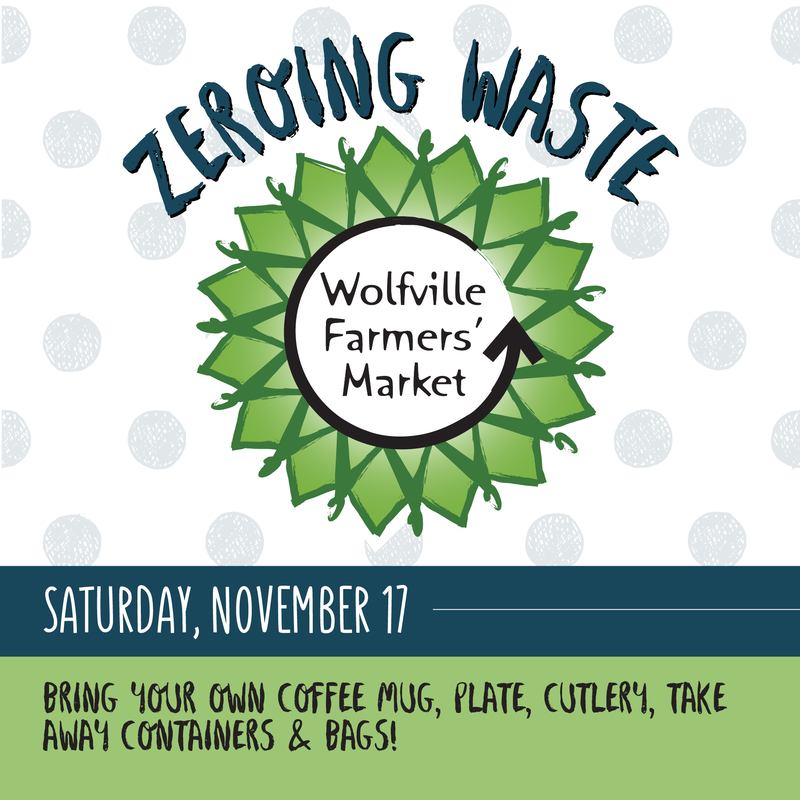 Bring your own forks, spoons, plates, cups, reusable bags, containers, etc. to help us in this journey. You can also check out our new Community Mug Station and skip your usual disposable coffee cup! We can't wait for you to help us in this Waste Free challenge. Make sustainable choices part of your Market day!